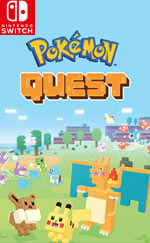 Set off for adventure in the Pokémon™ Quest game. Venture out with your Pokémon buddies on expeditions across Tumblecube Island in search of loot in this free-to-start action-adventure for the Nintendo Switch™ system. Modify your Pokémon buddies with discovered Power Stones to make your ultimate expedition team. 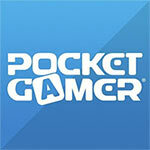 You can get everything you need in a single purchase, or unlock most of it slowly by playing for free. 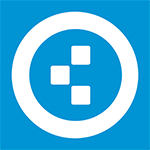 It's one of the most generous freemium systems out there. Overall, it's a great jumping off point for new fans of the series, and the cutesy art style just might win over veterans. Give it a shot. 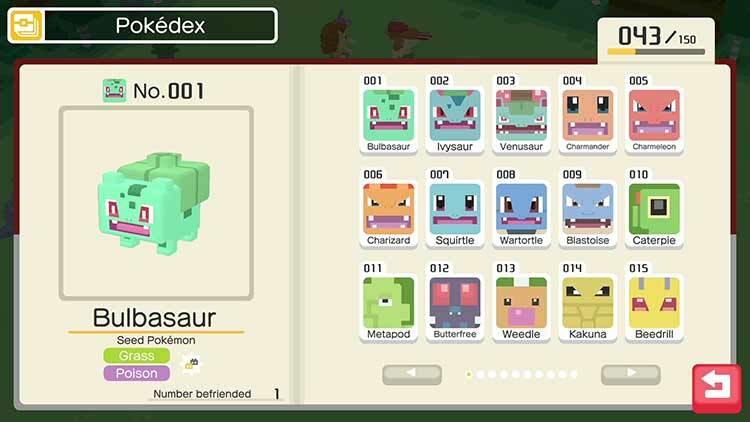 Pokémon Quest might not have the same variety as many other spin-offs in the series, but it takes a simple idea and extends it into a good experience that encourages really trying to collect them all. Although Quest currently only features the first 151 Pokémon, it’s likely that it will see future updates that slowly add in the others over time making even more reason for players to regularly keep up and return. Pokemon Quest can be a cute little distraction when taken in bite-sized pieces, but it’s best served with a lot of patience. 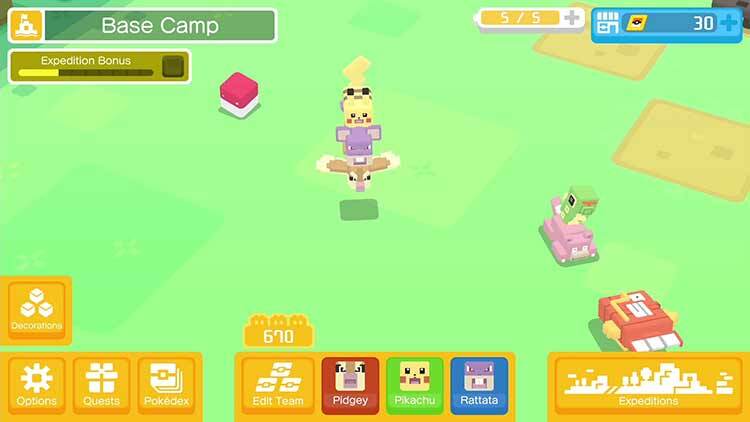 It’s cute, and its systems are much deeper than they seem, but trying to build my perfect team definitely drove me a little crazy. Pokémon Quest delivers cute moments, but the novelty wears off fast. By the time I reached the later stages, I was disenchanted by the necessary grinding and random elements permeating nearly every aspect. I enjoy parts of Pokémon Quest, but the adventure never amounts to anything memorable. Like Pokémon Shuffle, however, even if it is on a console that is handheld at core, it will be best enjoyed portably on a device that people are carrying on their person at all times, like a smartphone, with notifications warning the player that their free plays have recharged and the like, so it's probably best to wait for a smart device version before investing any money in there that may not transfer between different versions. Pokemon Quest feels a little bit lacking. It's an idle RPG just like the rest, with all the usual requirements of grinding, waiting, and not really interacting with the game. Yet, it's surprisingly hard to put down. Number nerds will find plenty here to keep them satisfied and the core loop is very effective at encouraging you to stick around. 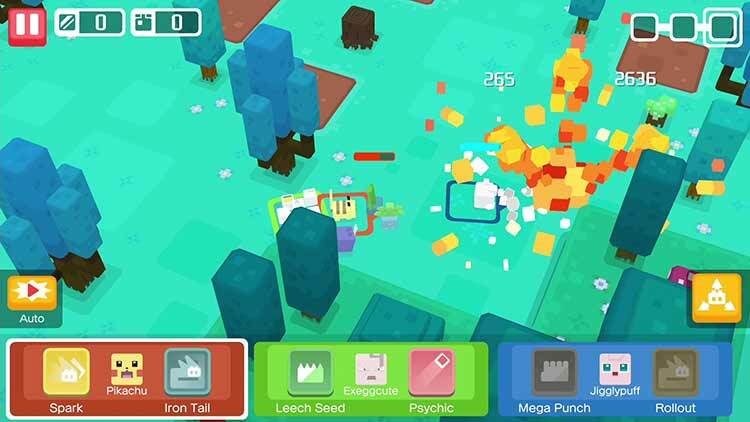 Pokémon Quest s’en sort avec les honneurs grâce à son système de jeu simple, mais accrocheur et parfaitement adapté aux courtes sessions. Il a en plus le bon goût d’adopter un modèle free to start permissif, qui vous permettra de progresser sans dépenser vos précieux deniers. Il manque tout de même d’un peu de lisibilité à cause du déplacement automatique des Pokémon et d’une interface légèrement chargée. 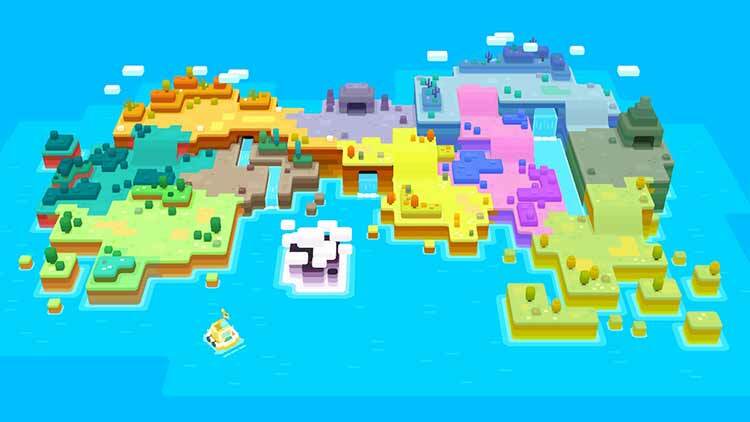 Pokémon Quest è un'avventura molto naif, con pochissime pretese, se non quelle di proporre dei sistemi leggermente rivisitati del canonico gameplay dei titoli Game Freak. Il sistema di cattura dei Pokémon è interessante, anche se con il procedere dell'avventura inizierà a essere troppo lento e troppo casuale per l'arrivo di nuovi alleati, ma l'esplorazione vi terrà impegnati quanto basta per riuscire a darvi sempre un divertimento genuino. 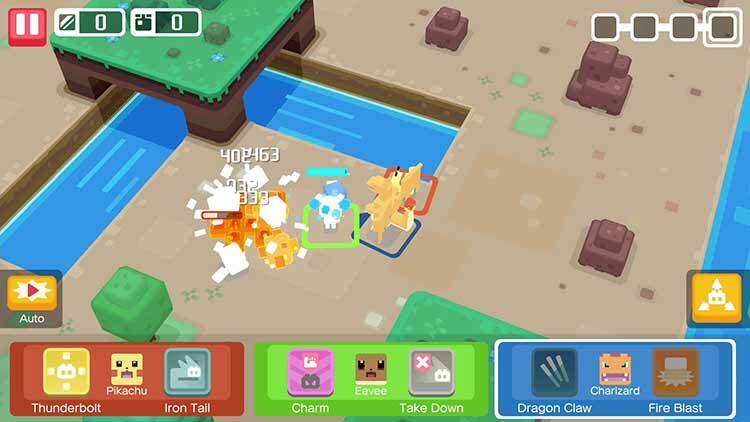 Pokémon Quest ci ha stupito e deluso allo stesso tempo. Il primo lavoro per Switch di Game Freak evidenzia la solita capacità della casa giapponese di proporre meccaniche semplici e stratificate, che tuttavia cozzano su un sistema non sempre preciso e sulle necessità di un sistema di monetizzazione che deve spingere su una buona dose di frustrazione per essere davvero remunerativo.